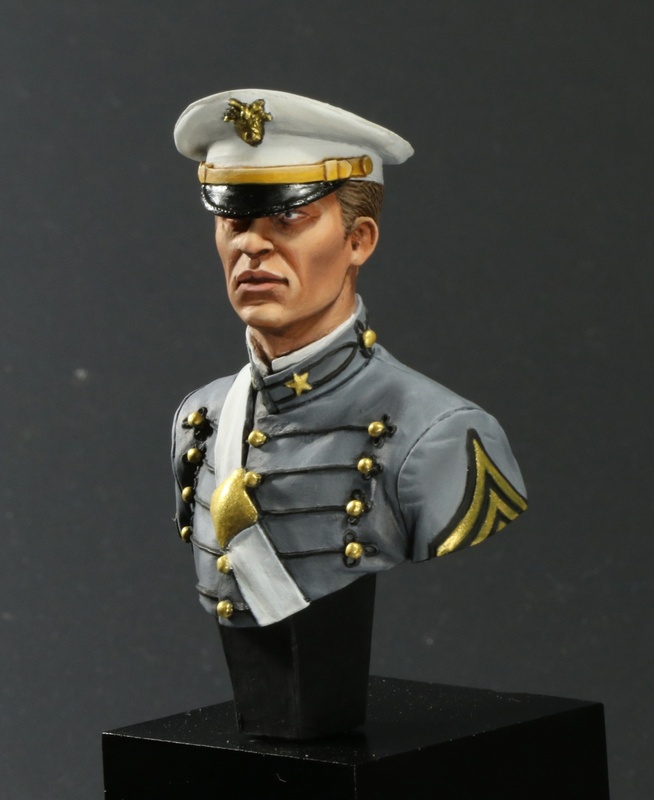 This is the DG Artwork bust of a United States Military Academy West Point cadet. 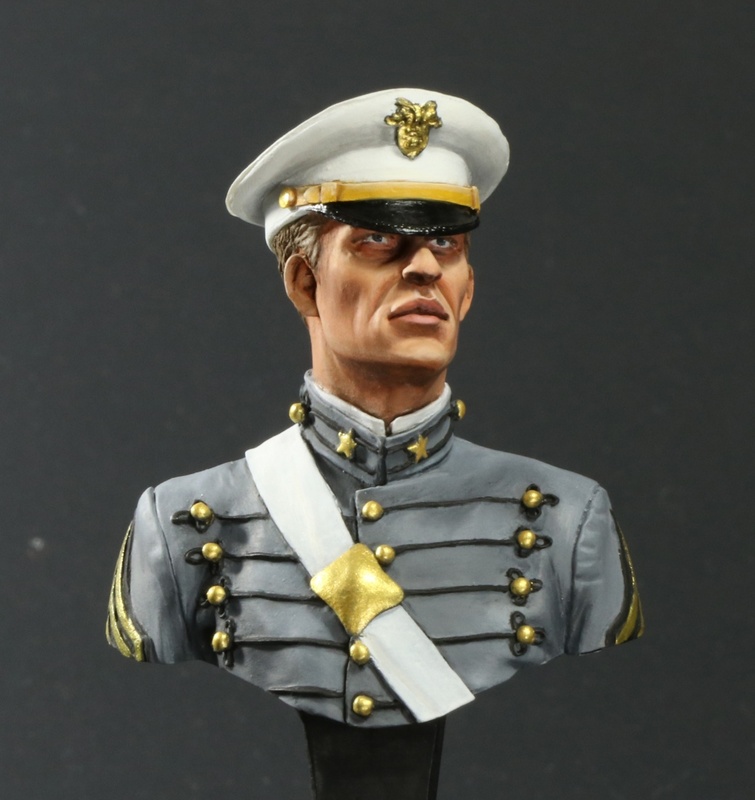 I graduated from West Point in 1988, and this was a real joy to paint. I even looked at my old uniforms as reference. 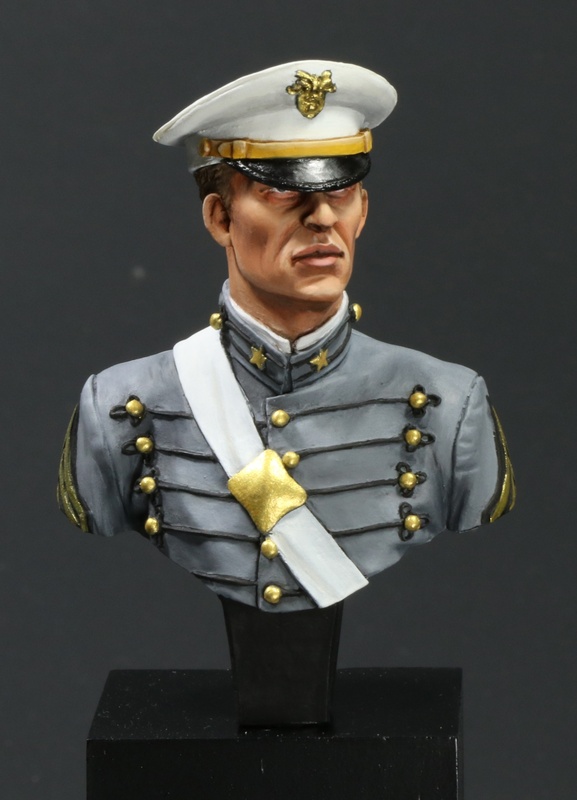 My first bust. A beautiful achievement, I like a lot. The jacket probably lacks contrast and hues to give him the lived. Nevertheless this deserves a medal of Bronze ! !